Earlier today, Governor Phil Murphy signed legislation that "enhances enforcement and oversight of mental health conditions and substance use disorder parity laws". The bill, A2031, sponsored by Speaker Coughlin, Assemblywomen Vainieri Huttle, Lampitt, Downey, Quijano and Jasey, Assemblyman Danielsen, and Senators Gordon, Kean and Vitale, also had 28 co-sponsors in the Assembly and 11 in the Senate. "We appreciate the strong legislative support that this bill received, and the commitment shown and effort expended over many years to send it to the Governor. And we thank Governor Murphy too for his commitment to parity for behavioral health services. The Governor has shown us repeatedly how dedicated he is not only to healthcare for all, but specifically to fighting the opioid epidemic. 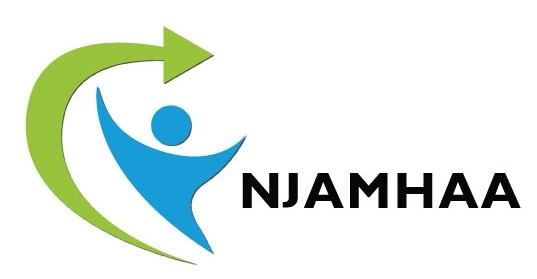 The parity law provides new standards by which to measure the success of those efforts, as well as the progress in expanding access to all mental health and substance use treatment and services" said Debra L. Wentz, Ph.D., President and CEO of the New Jersey Association of Mental Health and Addiction Agencies (NJAMHAA). The legislation expands coverage to include all mental health conditions and substance use disorders, as opposed to only biologically-based mental illness, as was the case in earlier statutes. It also requires health plans to meet all of the requirements of the federal Paul Wellstone and Pete Domenici Mental Health Parity and Addiction Equity Act of 2008 (MHPAEA). That act prevents health insurers which provide mental health or substance use treatment benefits from imposing less favorable limitations on those benefits than they do on medical or surgical benefits. Additionally, the new law requires carriers to submit an annual report to the Department of Banking and Insurance (DOBI) concerning compliance with the bill's provisions, especially with respect to the use of non-quantitative treatment limitations. Lastly, the bill requires DOBI to implement and enforce applicable provisions of the MHPAEA and to issue a report to the Legislature detailing the Department's oversight of the law's provisions. "We applaud this historic legislation that protects and supports New Jerseyans with a mental illness or substance use disorder from being denied the benefits they deserve," Dr. Wentz noted, adding that "the law has strengthened parity enforcement by requiring transparency and accountability".